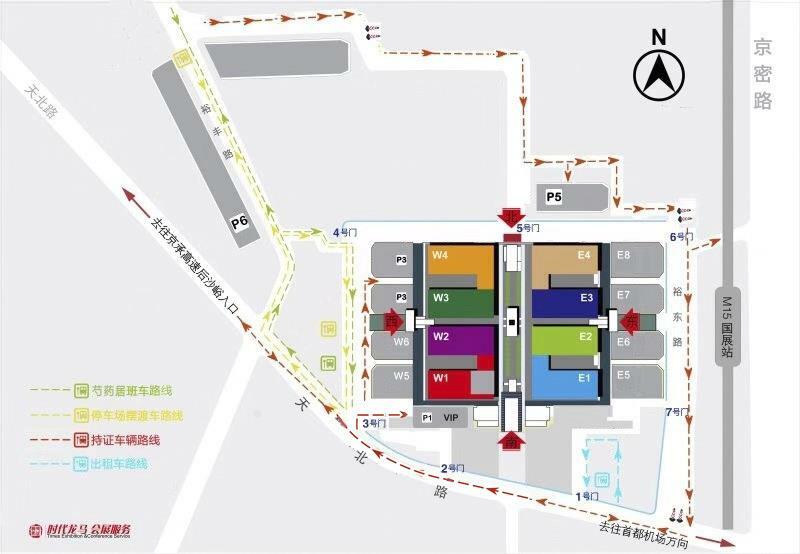 ① Drive along Jingcheng expressway, exit from Houshayu to enter Huosha road, drive straight to Luoma roundabout to turn to Yuxiang road, and then follow the road signs to arrive at China international Exhibition Center (new venue). ② Drive along Beijing Capital Airport expressway, exit from Yanglin, drive along Tianzhu road to China International Exhibition Center. ③ Drive along Jingshun expressway, turn left at Maliandian crossing, drive forward to China international Exhibition Center. ① Subway: Line 15 to China International Exhibition Center (New Venue). Line 15 is connected to Line 5, Line 8, Line 13, and Line 14. ② Beijing Railway Station→ New Venue: Take Line 2 at Beijing Railway Station to Dongzhimen, transfer to Line 13 to Wangjing West, and then transfer to Line 15 to China International Exhibition Center (New Venue). 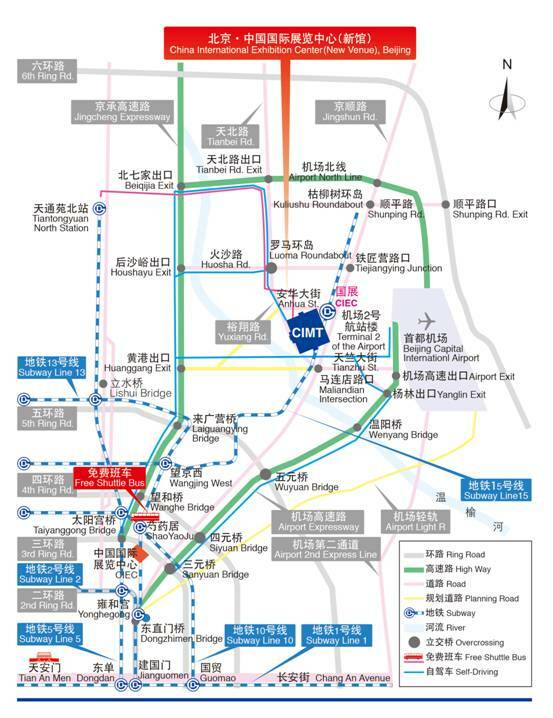 ③ Beijing West Railway Station→ New Venue: Take Line 7 at Beijing West Railway Station to Ciqikou, transfer to line 5 to Datun Road East, and then transfer to Line 15 to China International Exhibition Center (New Venue). ④ Beijing South Railway Station→ New Venue: Take Line 14 at Beijing South Railway Station 14 to Wangjing, and then transfer to Line 15 to China International Exhibition Center (New Venue). ⑤ Beijing Capital Airport→ New Venue: Take a taxi about 10 Kilometers to China International Exhibition Center (New Venue). ⑥ Bus: Please check online to learn about real time traffic route. From April 15 to 20, the organizer will arrange a free shuttle bus route to the China International Exhibition Center, starting from "Shaoyaoju Station". Visitors can take Subway Line 10 or Line 13 to "Shaoyaoju Station" to take Exit G to reach the starting stop of the shuttle bus. Shuttle Bus between ShaoyaojuStation and New Expo Center. Shuttle bus between parking lot P6 (free parking on Yufeng Road) and the New Expo Center.